In addition to the prawn and salmon sausage special, Manly also has a Passionfruit Tart on this week. 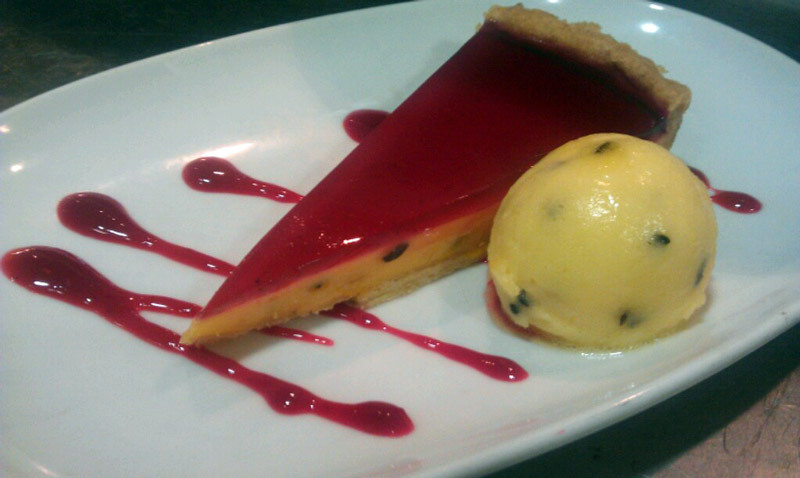 It’s served with raspberry jelly and passionfruit sorbet. Only available at Garfish Manly – this week.